push toward each other’s newness, curtailed by safety devices. everything inside yourself at once, as much as you can carry. 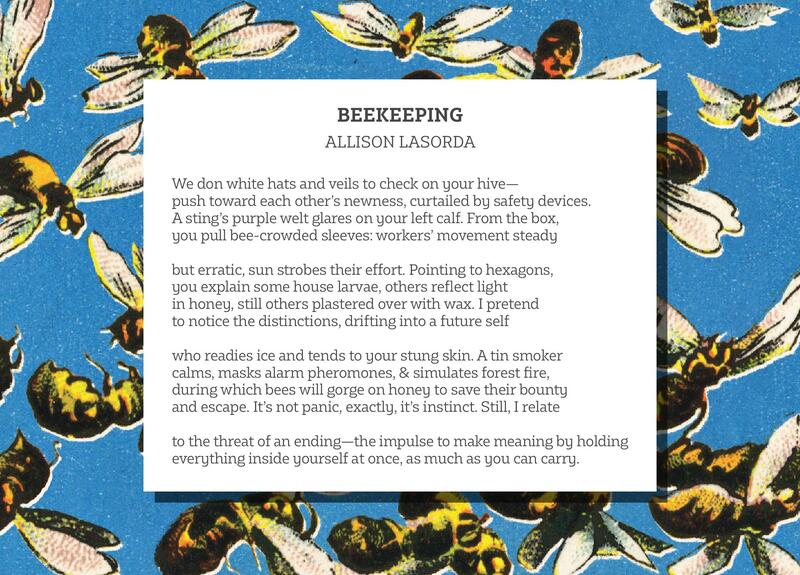 Allison LaSorda‘s work has appeared in The Fiddlehead, North American Review, Shenandoah, and Hazlitt, and she was nominated for a 2018 National Magazine Award for Personal Journalism.